Entrepreneur Mik Nijhuis took the lean startup method to the extreme. Here’s how his first ten days went by with his startup WP Fit, which offers unlimited WordPress support. My business partner Joost Hietbrink and I have been venturing around for about 8 years now. We build our first company straight out of college. We studied Computer Science in Delft. The company was called YelloYello (local search & review site). First thing we did is build the whole platform. That’s very typical for tech guys like us, we build something we like and put it out there. Two years later, we sold it to the Yellow Pages – so we found our product/market fit after all. Since then, we’ve launched several online services and becoming leaner and leaner in doing so. With our most recent service we wanted to take lean to the extreme. Here is everything we did and every tool/service we used during our first 10 days. 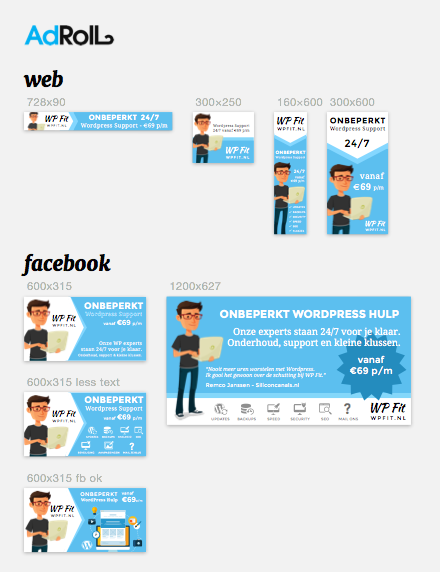 -Start building one-pager site (wpfit.nl). Pick base colours (black, blue), pick two base fonts, build page using Bootstrap. Single page content: Title, payoff, how it works, pricing, signup, team, contact. -Start sourcing WP experts via UpWork. We need at least one to start the service. Submitted WP Fit project and invited 10 devs. -Replies from UpWork: 3 declines, 5 pending, 2 accepted. -To get a feeling for the business model, I’ve filled in a very basic one page Google Sheet. I’ve used this great template by Christoph Janz, co-founder of Point Nine Capital. -Finished site, now live on wpfit.nl. -Replies from UpWork: 3 declines, 1 pending, 6 accepted. -Added Google Analytics and FB retargeting through AdRoll. Why not retarget our site visitors from day 1, it’s easy to setup. -Going back and forth a bit to get ads accepted. FB doesn’t allow ads with more than 20 percent text. Use Facebook’s Grid Tool to check your ads before submitting! Also, we needed at least some basic privacy terms. We used iubenda to automatically generate ours for free! -Finished creating ads. Retargeting through AdRoll is live. -Started reaching out to potential users through our network (using manual email and messaging via LinkedIn). -Signed up for the 30-days free trial of LinkedIn’s Premium plan. -Got our first paying customer! -Put a very simple ticketing system into place: HelpScout. It has a free plan and is very much linked to email (Google Mail in our case). Perfect for us! -First tickets from our first customer are coming in. -Since we didn’t have much time for screening and interviewing our 6 WP candidates that accepted our job on UpWork, we contracted one based on our gut feeling and his UpWork profile. -I started working on customer’s ticket myself initially, but assigned it to our UpWork guy the same day. -UpWork guy finished the ticket successfully. We got ourselves a happy customer. -Second customer in. Got ticket and assigned directly to our UpWork guy. -Added feedback from our first customer as a quote on wpfit.nl. -Got our first click via FB retargeting @ $1.23. Very early-days obviously but looks promising (CTR of 2,08%). -Added ‘discount code’ to our signup form in order to start an affiliate program the simplest way possible. -Send out more emails explaining our affiliate program. -Got our first ‘affiliate partner’ to share our site in some FB groups and mention the discount code. -Got our first peak of site visitors as a result. Up till now traffic was only coming in through manual emailing & network messaging. -Third customer signed up. This time someone out of our network and directly using the signup form on wpfit.nl, coming in through the FB share done day earlier. -A design company with multiple customers is interested in working with us. Let’s see if we can make that fit! In ten days, we got a basic validation for our service. Our goal was to get to our first paying customer as soon as possible, so we really only implemented whatever was needed to achieve this. Well… we did some extra stuff, but that’s part of the flow, right? I really hope this post contains some valuable stuff you can use during your first ten days – now go get them! 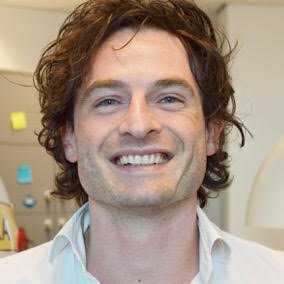 Mik Nijhuis is a serial entrepreneur and participated in the Startupbootcamp E- & M-commerce programme of 2014. Mik is offering a discount on WP Fit for readers of StartupJuncture: enter ‘startupjuncture’ as discount code on wpfit.nl and save 10 % on the first three months. Deal applies for August 2015.
al aan drupalfit.nl en joomlafit.nl gedacht?? haha.. aan gedacht ja maar eerst maar ns de nr 1 (in aantal site) WP ‘nailen’ :). Coole post, mooi verhaal en handige links. Tnx! Dank je Vincent.. you’re welcome! thanks for the great post and kudos for the fast progress! appreciate to see which tools you’re using. would be interesting to know what you actually learned through this experiments, where you made changes to your initial plan based on customer feedback! Indeed Valentin, that could be an interesting topic for a second post… as soon as we have more customers.